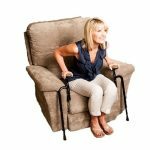 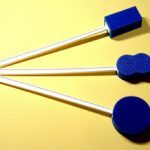 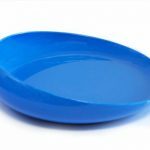 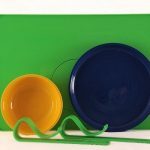 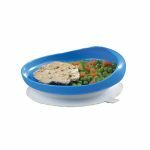 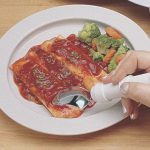 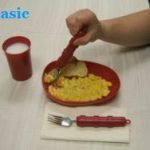 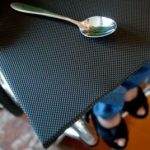 The Blue Scooper Plate can help people with muscle control issues, hand ailments, severe arthritis or similar conditions enjoy dining again. 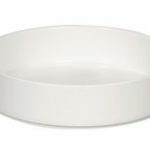 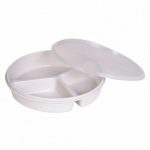 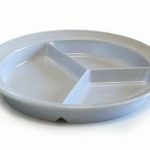 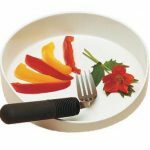 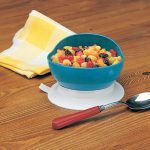 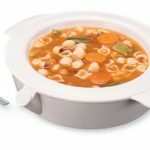 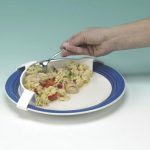 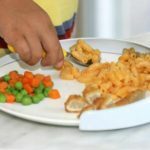 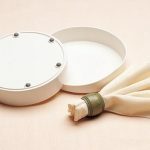 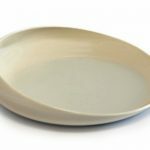 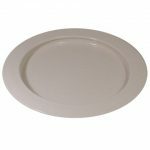 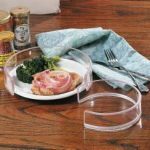 This adapted dining plate has a reversed curve edge that helps make self feeding easier. 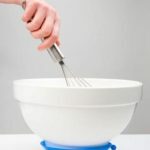 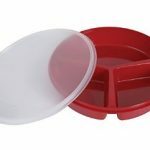 All scooper plates have a slightly taller rim on one side that has a reverse curve. 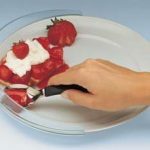 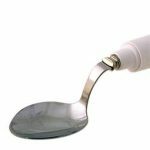 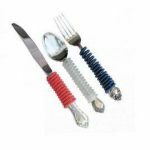 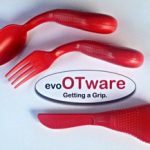 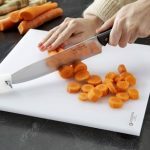 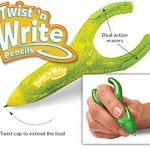 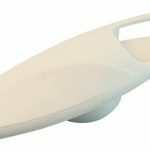 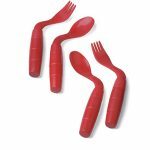 The curve helps in scooping food onto a utensil. 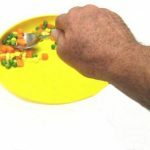 As food is pushed into this curve, it naturally rolls back onto a spoon or fork. 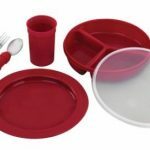 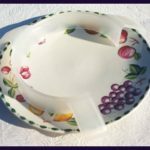 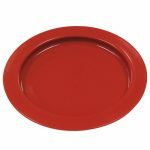 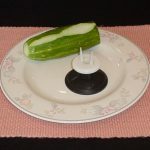 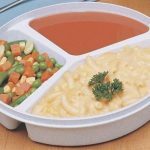 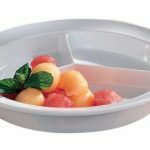 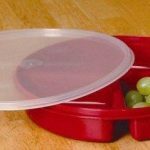 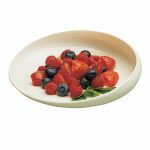 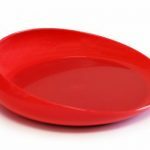 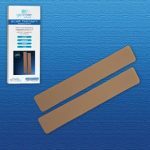 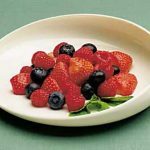 Higher edges around the rest of the plate help corral foods and reduce the opportunity for spills. 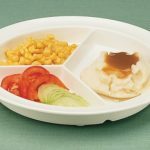 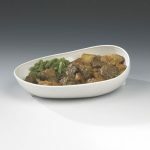 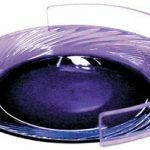 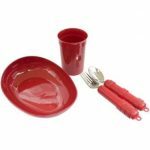 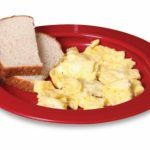 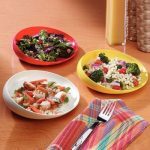 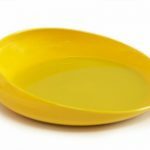 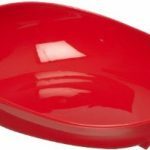 Scoop dishes are suitable for both adults and children. 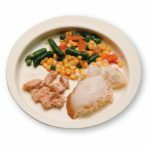 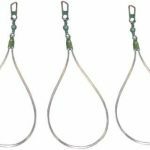 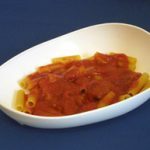 However, they are typically smaller than regular dinner plates, which is ideal for better portion size control. 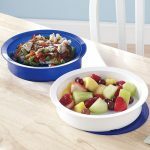 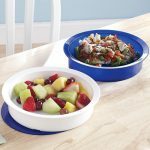 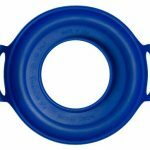 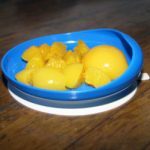 The Blue Scooper Dish is made of a darker blue plastic and the dark blue background provides high contrast for light color foods which may not be easily identified on white plates by persons with declining vision (a frequent occurrence with Alzheimer’s patients). 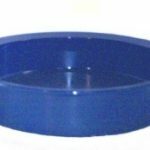 Blue Scooper Plate Specifications: Diameter: 6 3/4 inches. 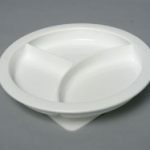 Reverse Curve Height: 1 inch. 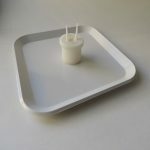 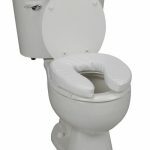 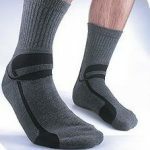 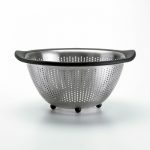 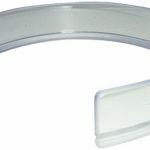 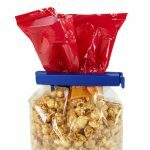 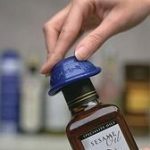 Material: Heat resistant plastic. 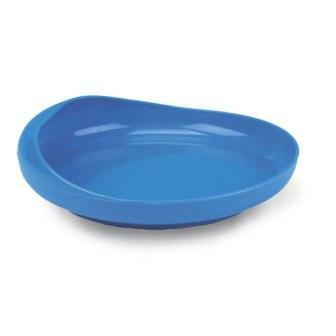 Color: Blue.